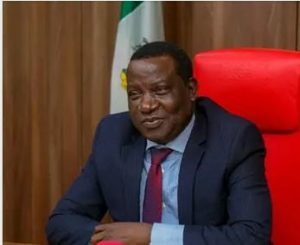 As Governor Simon Lalong began to personally supervise his administration’s activities in Plateau State, most suspected saboteurs of his administration have started losing their planned goals to make the Governor fail in addressing the needs of the people in the state. 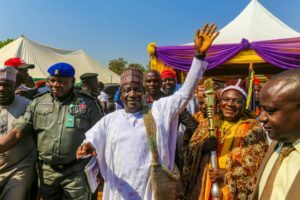 First, his concern for the Minority Tribes in the state has been left unaddressed by those he expected to have given attention to it, especially, in relation to his campaign promise to lift and equate their social status with other Major Tribes in the state. 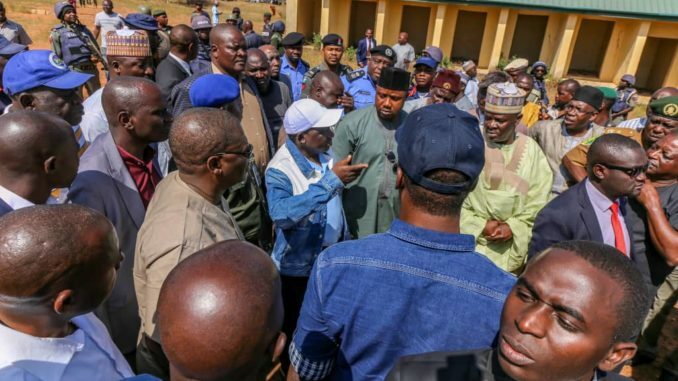 Secondly, the Governor’s promise to connect the Ganawuri Community in Riyom Local Government Area (LGA) of the State to the national grid has been buried for over 3 years, till his recent flash back few months ago. 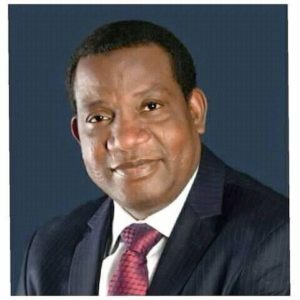 Governor Lalong had during his campaign in 2014/2015, before the general elections in 2015, did promise the people of Plateau that he would resuscitate the upgraded status of Traditional Rulers in the state done by his predecessor, Senator Joshua Dariye, especially, among Minority Tribes in order to create the quest for equality and an all inclusiveness in his administration, but was not drawn to him by his handlers as they allegedly want him to fail in his promises to the people. “I am aware that these charges can be awesome, but the burden of leadership demands taking and sharing responsibilities. Government on its part will continue to ensure that appropriate conducive environment is provided across the State for sustainable service delivery, as well as, protection of lives and properties. “The Aten Nation cannot be an exception, and it is in recognition of this that Government approved the award of the reconstruction of Tahoss – Ganawuri Road and the spur to Koronfang and Dahreng. We are also funding the drilling of boreholes, water supply and sanitary works within Riyom Local Government and Ganawuri is a beneficiary. The State Government is currently liaising with the Federal Government for the Construction and Maintenance of Federal roads in the State including the Vom – Ganawuri – Manchok road that passes through this Community. I am also aware of the problems the community is facing with the supply of electricity for over two years, due to lack of connection to the National Grid as your only source of supply is from NESCO. I assure you that as a matter of urgency, the Ministry of Water Resource and Energy will come up with the assessment and cost estimate for connection of Ganawuri to the 33KVA National Grid through Miango. “It is hoped that these new creations, restoration and re-grading across the State, which is a continuous process will bring greater confidence and assurance to the citizenry of our collective resolve to remain united and pursue common development goals. Accordingly, I wish to solicit your continuous loyalty and support to enable Government continue serving you better”. He told the good people of Ganawuri and the Atar Aten of Ganawuri. “It is my great pleasure to address you today on this auspicious occasion of the installation and presentation of 1st Class Staff of Office to the Ujah of Anaguta, His Royal Highness, Pozo Joro Magaji. “This official assignment is one that gladdens my heart, because it offers the opportunity to share in joyful celebration with the Anaguta Nation, whose people are known for their cosmopolitan sense of accommodation, tolerance for all shades of humanity and rich cultural values. 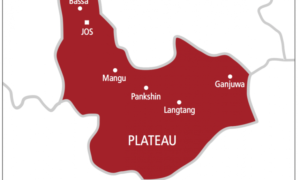 “The Rescue Administration’s core mandate is to give to the good people of Plateau State a sense of belonging, harmony, unity and purpose through the guarantee of Peace, Security and Good Governance, which is key in its five policy thrusts. “It is on this note that in my Special Broadcast of 14th August 2018 I reiterated government’s commitment in addressing the issue of creation of Chiefdoms, Districts, village Areas and review of salaries and welfare packages for traditional rulers in the State. 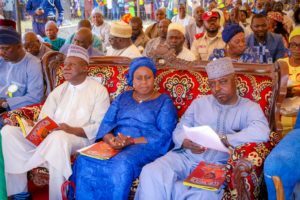 Accordingly, Government considered and approved the upgrading and restoration of new chiefdoms in the State, which saw the Ujah of Anaguta’s stool upgraded to a 1st (First) Class Status. 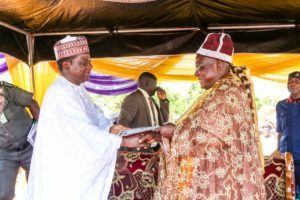 “Let me emphasize that my interest in the creation of chiefdoms and the recognition of traditional institutions is to give communities in the State a pride of place, based on the peculiarities of their ethnic identities. On occasions like today, I have always emphasized the popularly accepted adage that the culture and tradition of a people is their unique way of life and the foundation upon which they build their orientation for sustainable community life. This should not be taken lightly because what the people give to the larger society is a reflection of the value of what they have been nurtured with under strong Traditional leadership”.